KT Winners for January to be announced later this week. 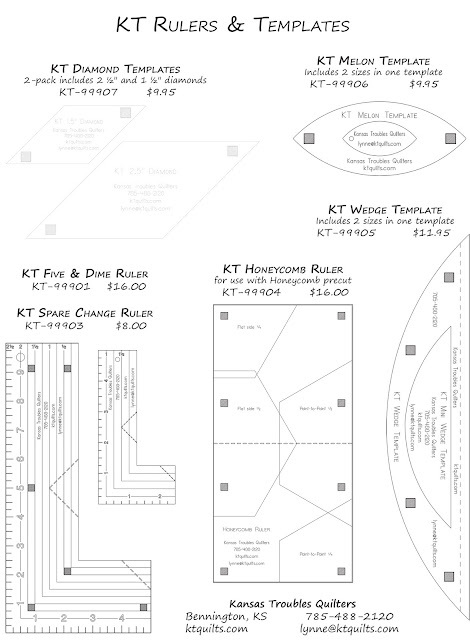 Through the month of February, all KT rulers/templates are 25% off! 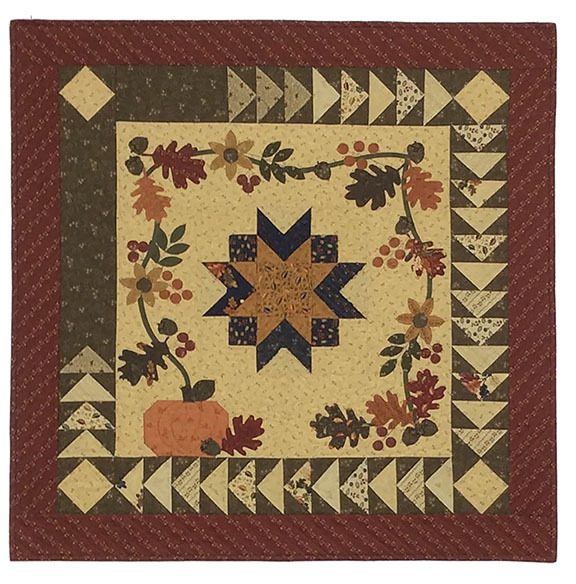 If you've wanted to try my layered patchwork method with a Five & Dime or Barn Raising (Five & Dime ruler), Clara's Garden or Twisted (KT Wedge template), Rustic Stars or Argyle Sox (KT Diamond template) or Bees 'n Blooms (KT Melon template), now is the perfect time. 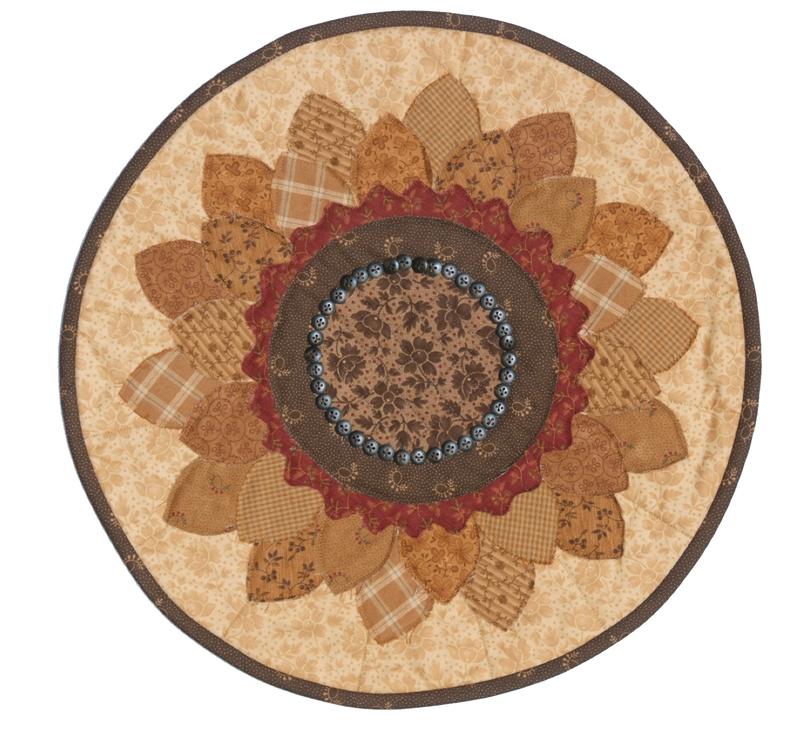 These, along with our KT Spare Change and Honeycomb rulers are all on sale. Print the hand brochure below to information on all of our KT Rulers/Templates. Comment this week to win the KT Ruler/Template of your choice! KT Winner - to be announced in February. I wish all of you could join us on our cruise this week. 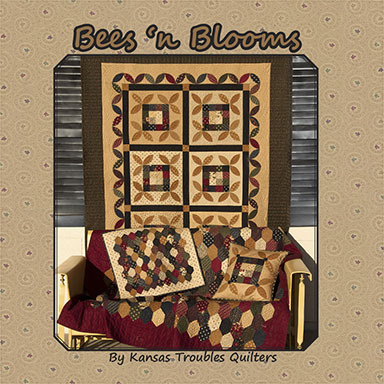 We're sure to have a fabulous time with Jenny Doan of Missouri Star and over 100 quilters. 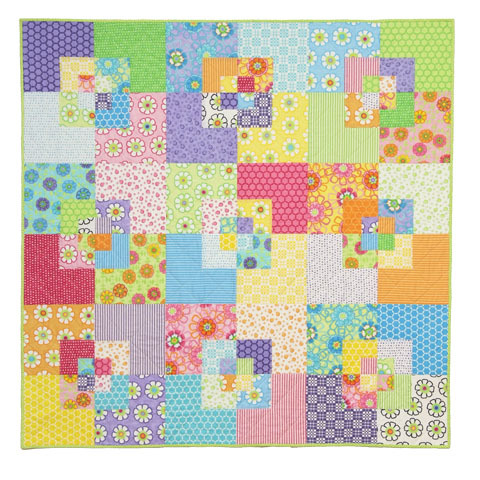 Baby Lock is providing the sewing machines for us, so the stitching is a breeze. Today is the first day of classes. Half of the quilters will start the week with Jenny to learn her clever way of slicing/piecing precuts. The other half will hang out with me to play with my layered patchwork technique in a sampler of some of my favorite blocks. 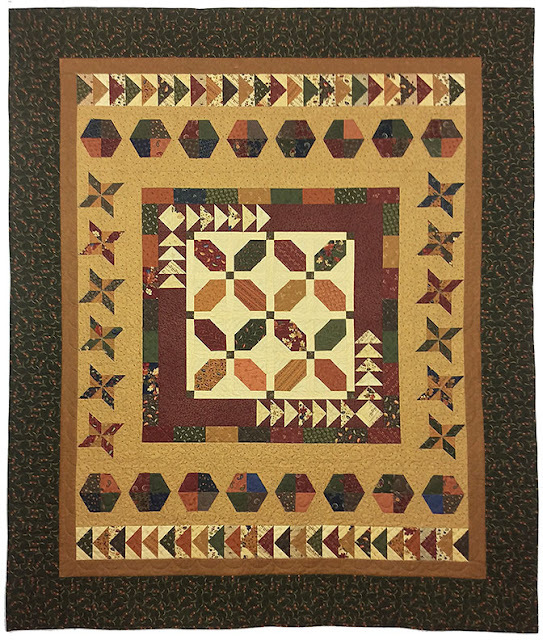 A Layer Cake and Honeycomb add scrappiness to just 5 other fabrics in this simply pieced lap quilt. I can't wait to share my design with the cruisers! 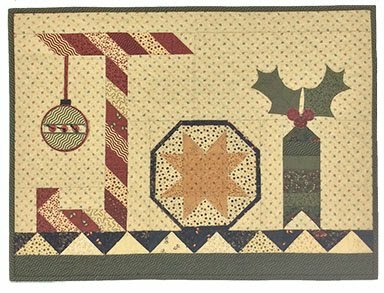 And, with you.If you'd like to stitch along with us, comment here to win the Cruisin' Sampler pattern. It won't be available to purchase until mid-2018. Robert & I are on the road so I won't be posting the winner this week. I apologize that my blogging skills are limited on my iPad in a motel. 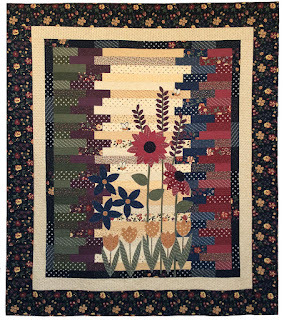 Watch for all the January blog winners in February. It's been a bit gloomy and gray here over the last few weeks. 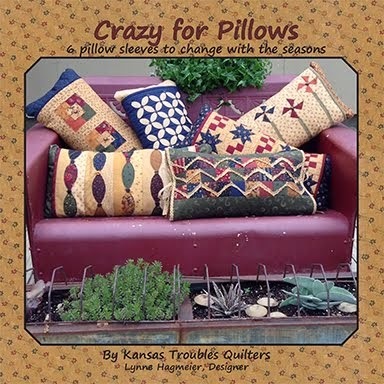 Pretty normal for Kansas in winter. 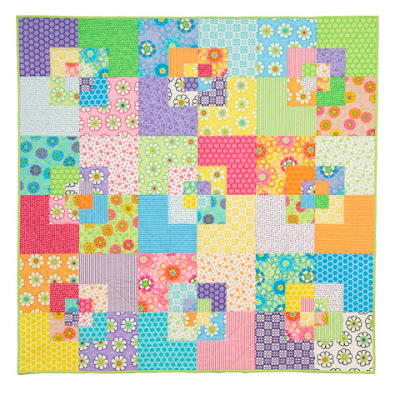 This weather inspires me to pull out some happy, bright fabrics and make something fun for one of the grandaughters. 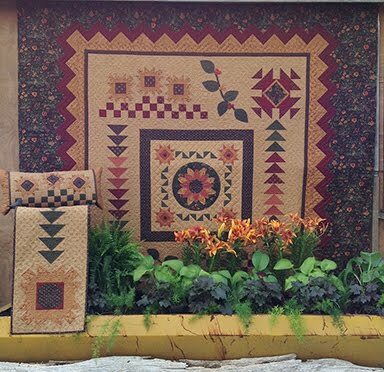 Here are a few things I've made in the past with them in mind - or for those of you who live with brights in your homes. 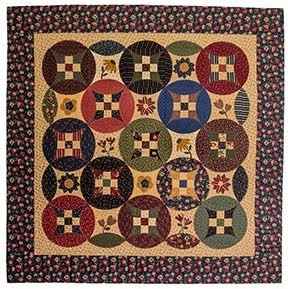 My layered patchwork technique works well with any colorway. We especially love Me & My Sister's line of cheerful prints. 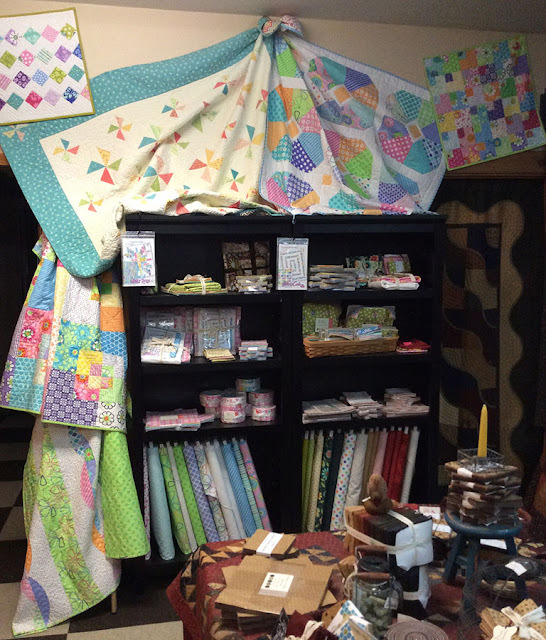 We even have a corner of the store dedicated to their fabric. Can't wait for the newest line to arrive! 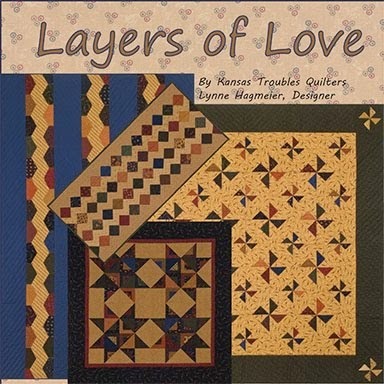 The Zigzag runner is also from Layers of Love. The small doll quilt in the upper right corner is the make-do quilt using leftovers and parts cut out from 2Bits, 4Bits. 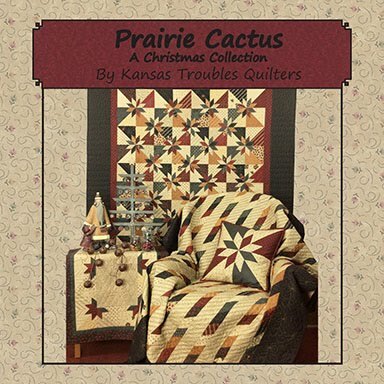 We have kits for all of these projects in Barb & Mary's brights. 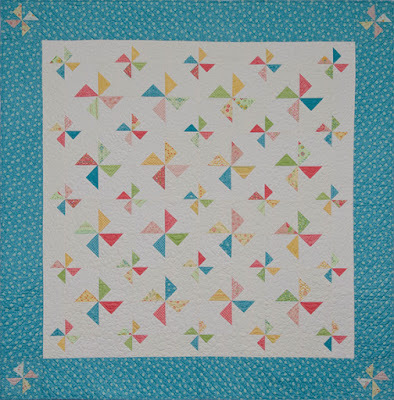 This week, their Slice of Cake pattern with 2 options is our giveaway to add a little sunshine to your dreary winter days. 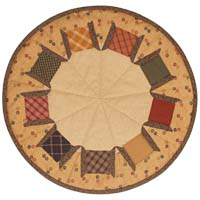 Comment here about your favorite color palettes to win. Sunny Florida, Here We Come! 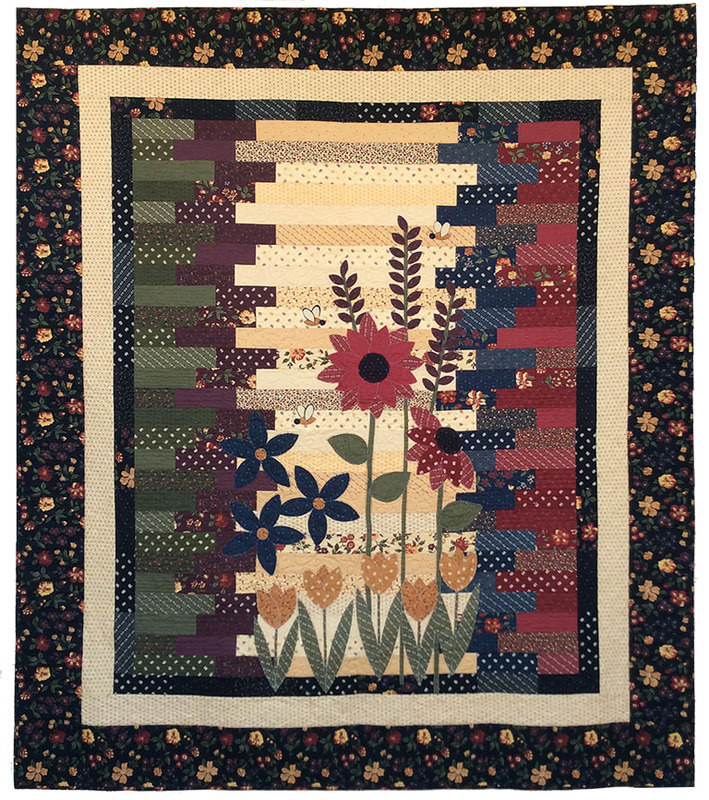 Susan Smith - My wish is to organize my sewing space and have more time to sew! Love those table treats.You are such a fun Grandma! I'm sure those masks were a big hit! 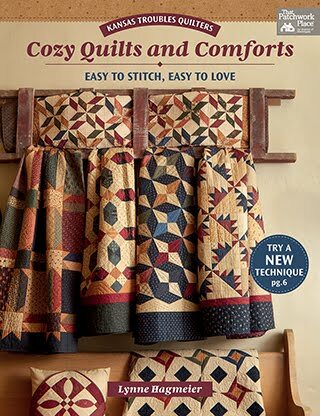 Susan, you've won our scrap bag of woven plaids. 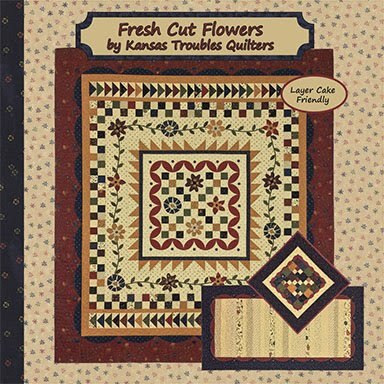 Please email your shipping address to lynne@ktquilts.com. Jamie will send them right out. Robert and I will be sunning and sailing while teaching over the next couple of weeks. 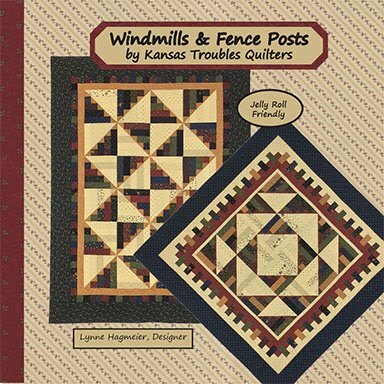 I'll have new posts each Monday, but I may not have internet access to add the weekly winners. Check back in February for all the January blog winners. We're so lucky to be able to travel while we work. 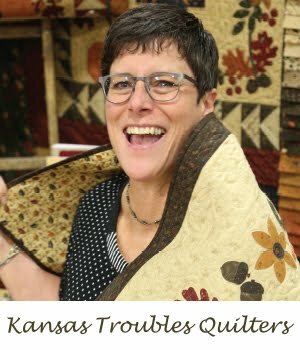 I enjoy meeting quilters from all over the country and hearing their stories while sharing mine. It's especially fun to have a week to get to know these ladies on our cruises. 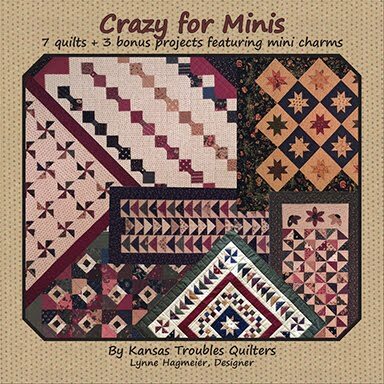 Jenny Doan, of Missouri Star, and I will be teaching together again on 2 cruises in 2018. I just heard they're both over half full at this time. For more information, email our travel agent, Lenore Deck, at cruiselady@tampabay.rr.com. We hope you can join us! 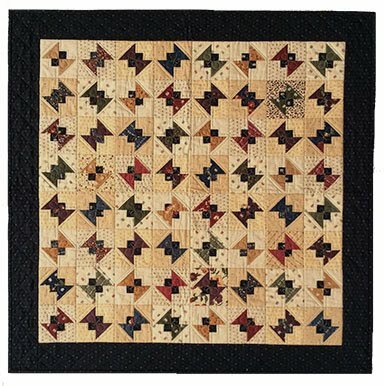 If you're in the Boca Raton, Florida area next week, make plans to attend the Gold Coast Quilter's Guild on meeting Tuesday, Jan. 17th. 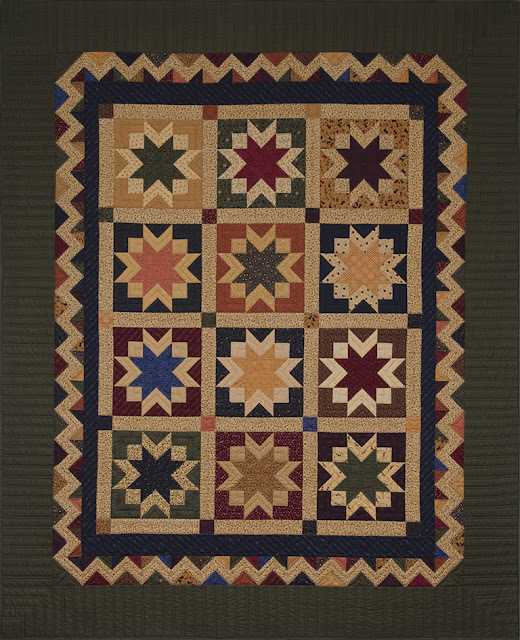 I'll be visiting to share my quilts in a trunk show plus 2 days of workshops. One day, we'll be making 30-Something from the Layers of Love book. I've always liked this layered block that creates a double star easily with my layered patchwork method. 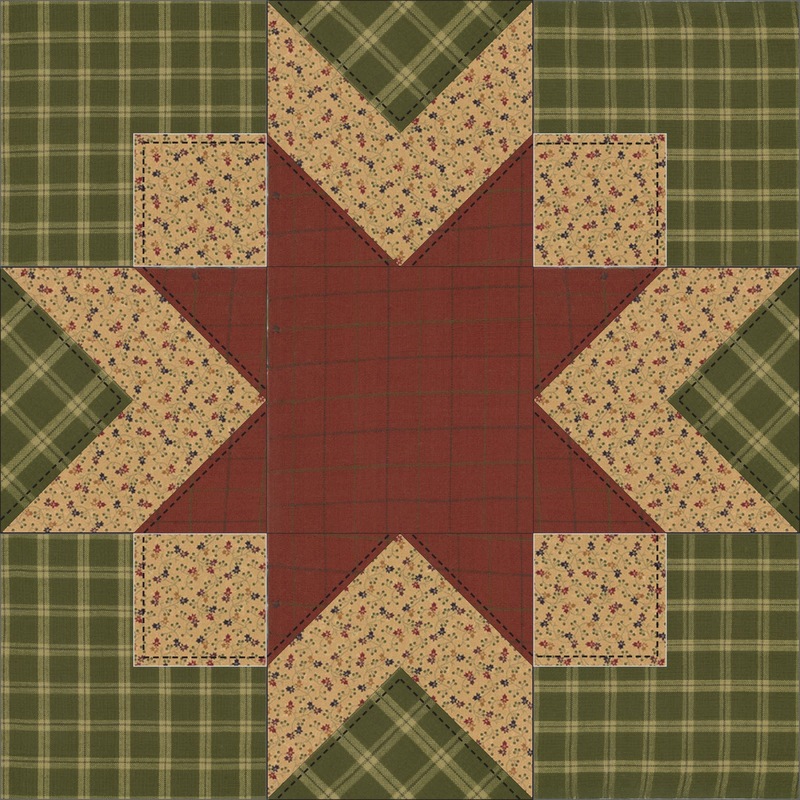 My original was in prints, but adding some plaids would make it even more interesting, don't you think? 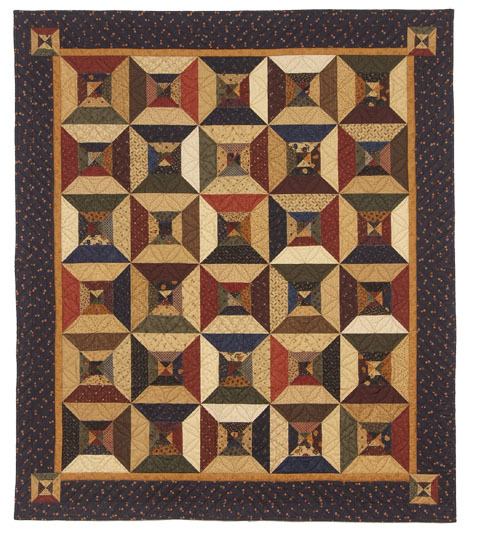 I love the movement a plaid on point gives to a block. 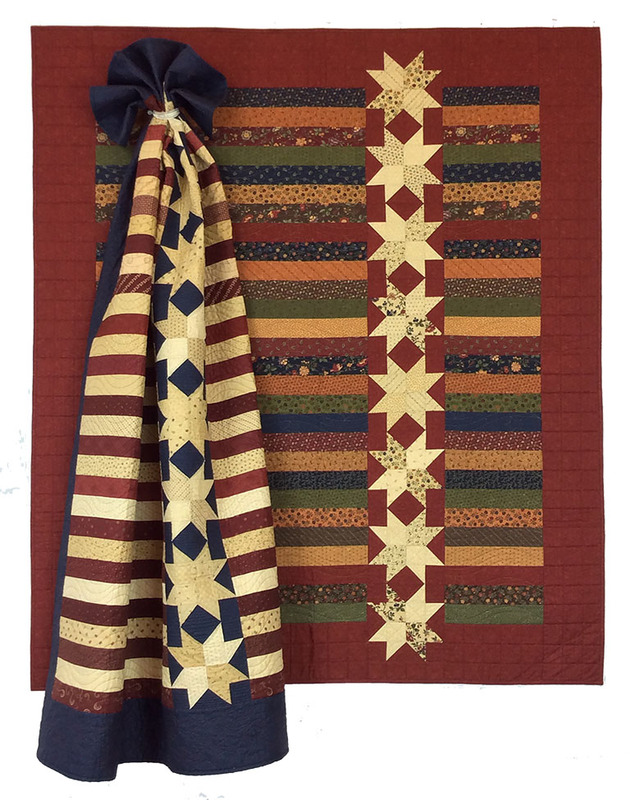 The 2nd day of classes, we'll be playing with the Loose Change book and Stacked Coins with a Layer Cake, Charm and Mini Charm layered in the blocks. 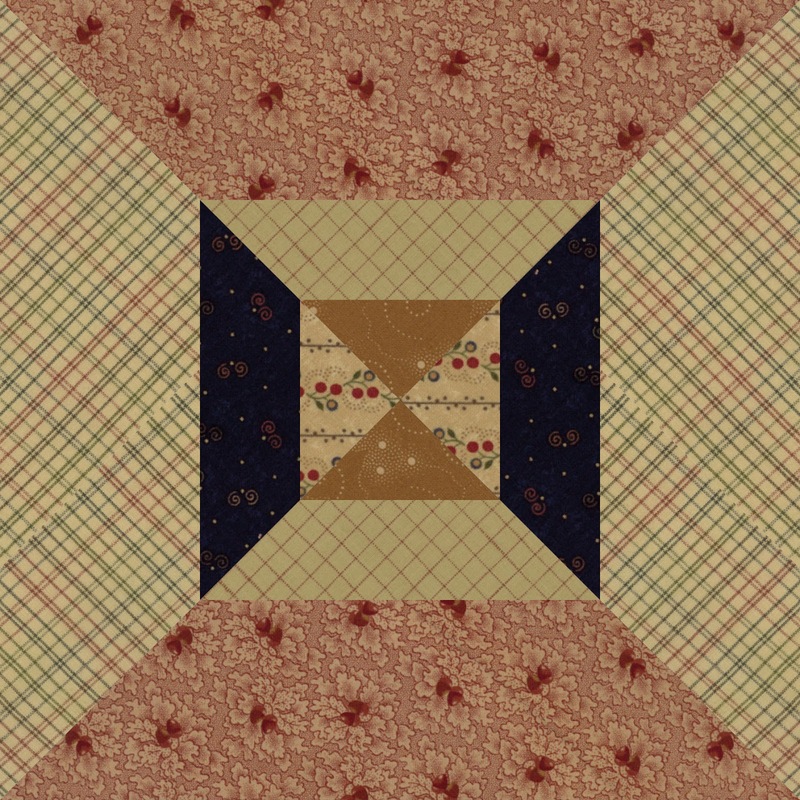 I tried a block with some plaids thrown in to add geometric dimension and a masculine tone.The juxtaposition of plaids against prints makes them both shine brighter. If you 're in the area, stop by or - even better - sign up for one of the workshops. Contact Linda Adamcik at 561-790-1009 for more information. We'd love to see you there! 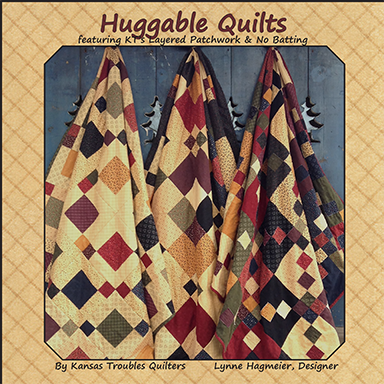 Now is the time to pick up some KT Classic Plaids to add to your stash during our January monthly special. 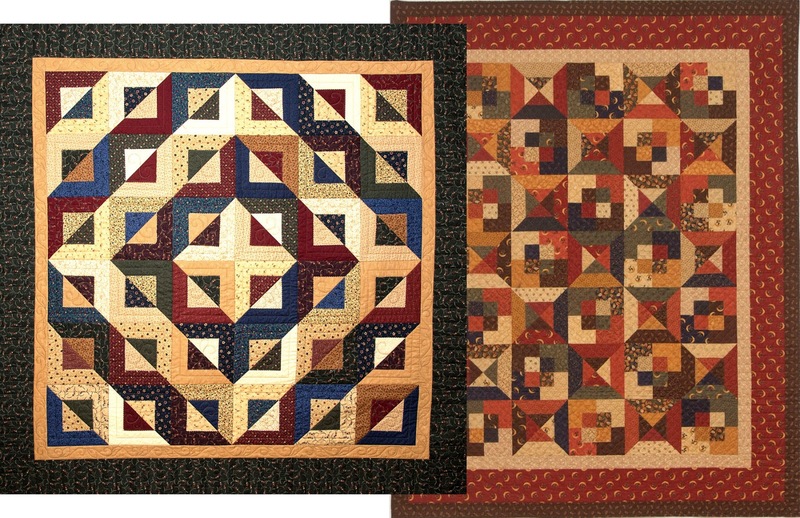 Plaids are only $6.95/yd (1/2 yd. minimum). 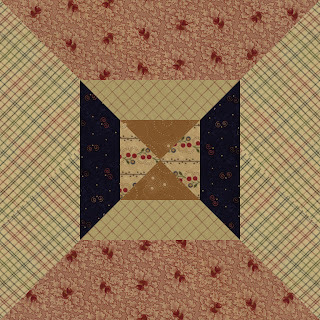 Comment this week to win 6 plaid fat quarters to start your next project. 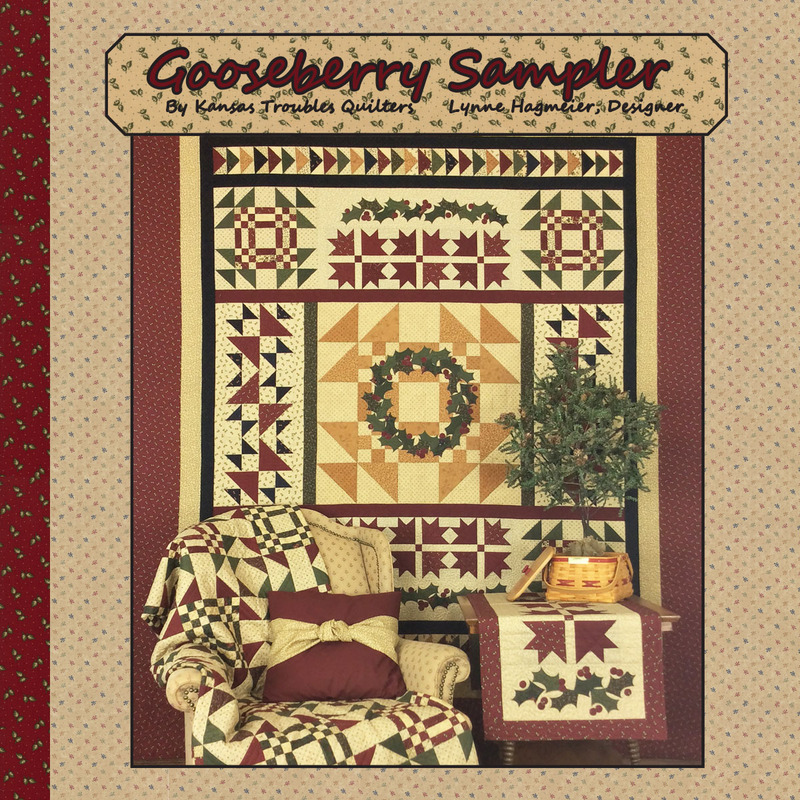 Gooseberry Lane will ship in June to your local quilt shop. KT will have it available as a 6-month program. More info to come. 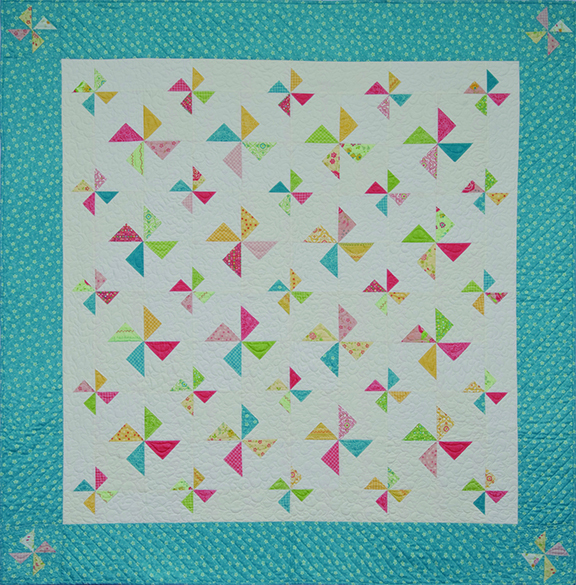 Joyful Wishes is the charm pattern, available in June, as well. 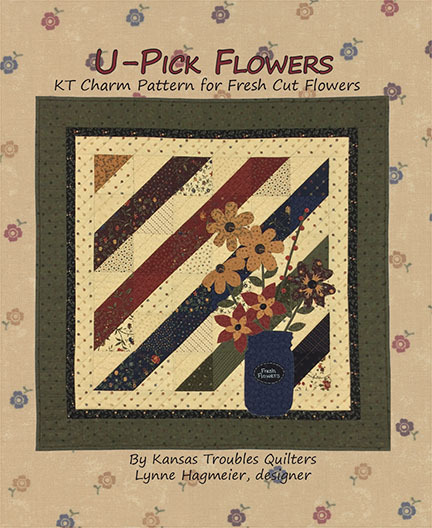 I'm pretty sure you'll have a chance to win patterns/fabric when the time is right. Stay tuned! Thanks to all of you for your support and kind words throughout 2016. We at KTQ are looking forward to a fresh, new 2017 with a few surprises up our sleeves. Watch for the first of several fun announcements in February! I welcomed the New Year on a high note with 4 of the grankids while their parents enjoyed a little party time. It's the first year the twins have lived a state apart so it was good for all the siblings to catch up and celebrate together. The pre-teen grankids weren't crazy about having their pics taken for Gramma's blog, so they went incognito as Party Animals. 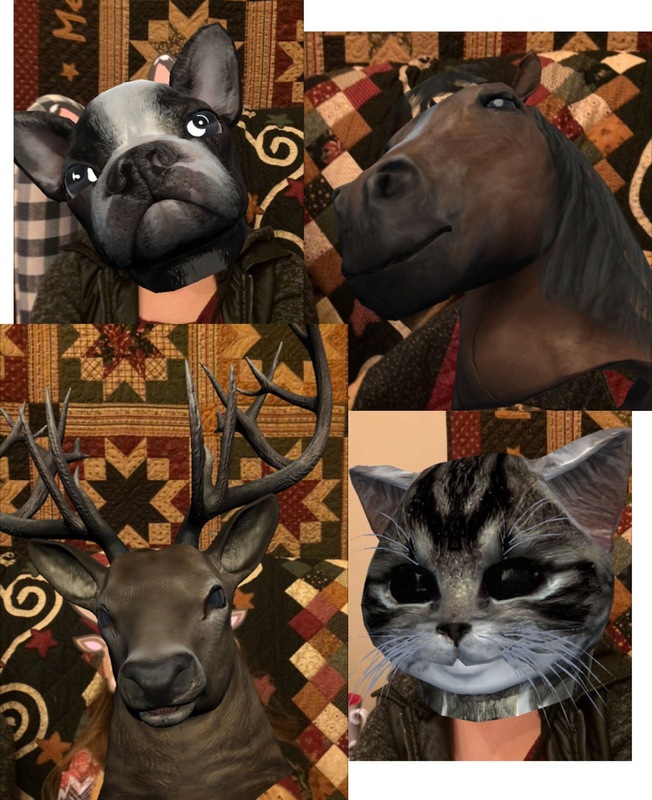 I purchased the masks in a pack at World Market and downloaded the Party Animal app on my phone. When the kids put on the masks and I used my camera to take a picture, the masks turned into this! Too funny! It only seemed to work if I was about 2 feet away from the subject (probably user error). I wish I could have stood back further to get all of them in the same picture. Still made for alot of laughs. Believe me, the sound effects were priceless! Always entertaining when they're all together. We're offering our KT Classic Plaids this month at an unbeatable deal of $6.95/yd. 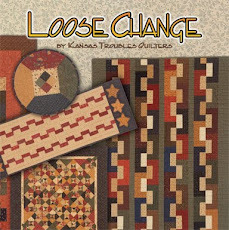 to add to your stash for the new year (sold on our website in 1/2 yard increments for $3.98). 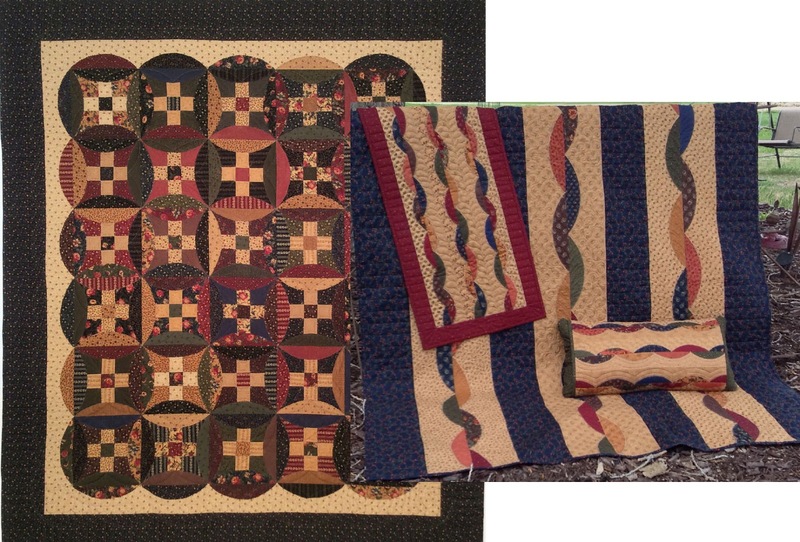 I love mixing my brushed woven plaids with prints to inject some geometric interest. 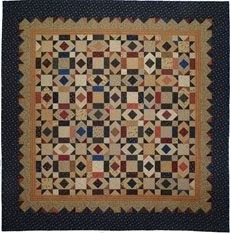 It also helps add some masculinity (think plaid work shirt) to a guy quilt. 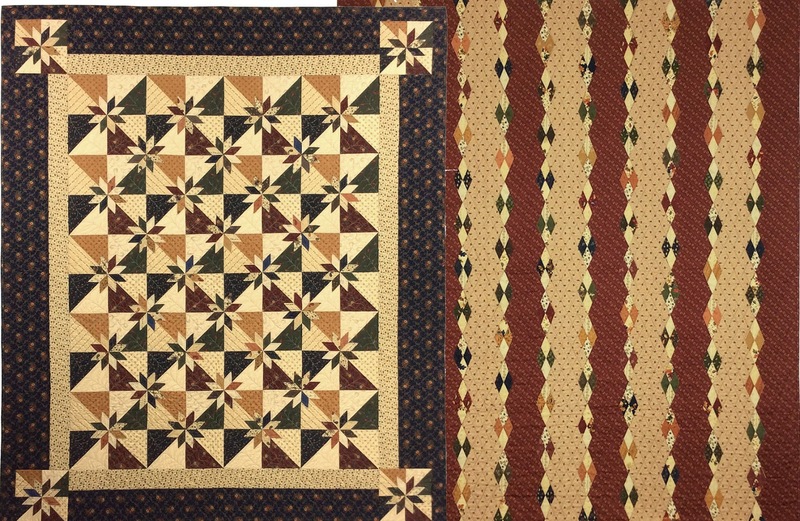 Since the brushed plaids are woven, both sides are the same. 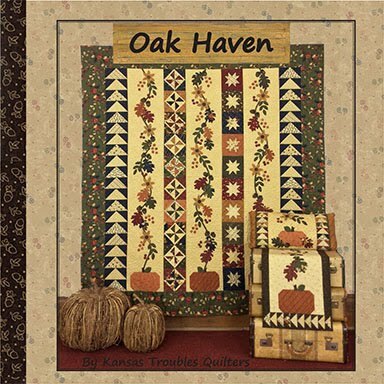 I use the green plaids ALOT for leaves and stems in appliques. When the edges curl, the back side of the leaf is the same as the front. Very cool look. The plaids also work well for any layered patchwork project. 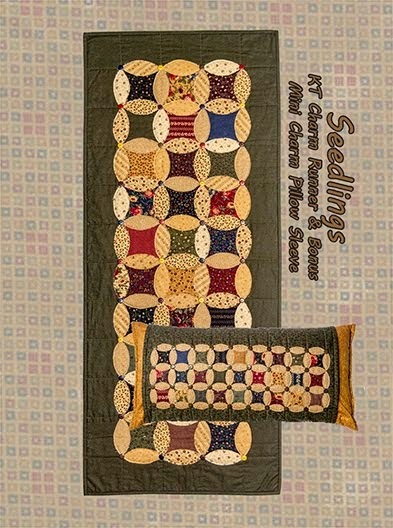 The bias edges softly curl to give your quilt dimension and a primitive effect. 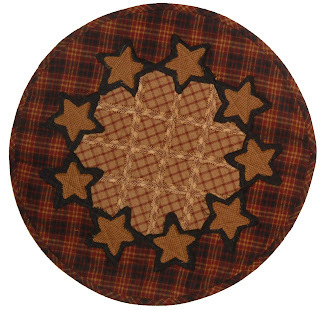 We just found out these plaids will be discontinued by Moda, so quantities are limited. Stock up today! 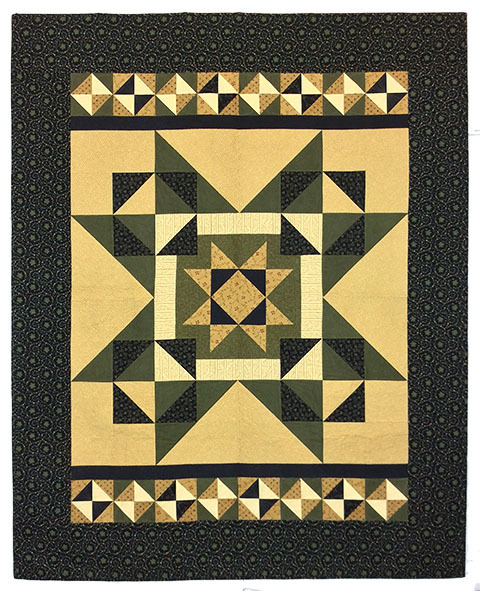 Tell me about your wish/plan for the New Year - do you want to learn a new quilting technique? Sky dive? Travel? 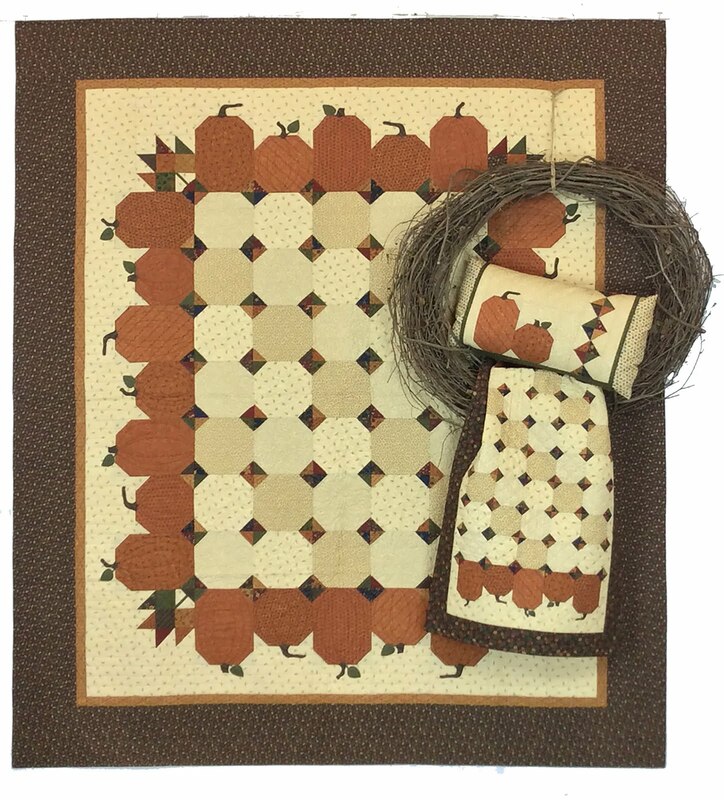 Comment to win a KT Classic Plaid scrap bag. 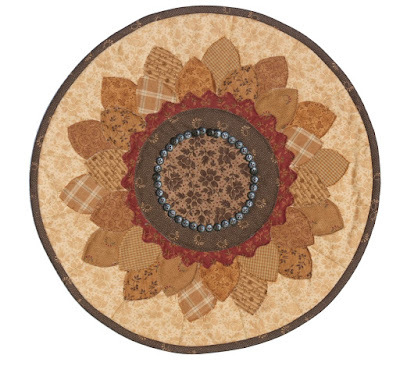 There are plenty of pieces for accents on some of our favorite Mini Table Treats.